This striking gulf-front home overlooks the beach and the beautiful Gulf of Mexico. It features a stunning spacious master suite with a king bed and jetted tub There are two additional bedrooms upstairs — one with a queen and one with a double — and a private downstairs room with bunk beds perfect for teenagers who want some extra privacy. The downstairs guest suite also has a small kitchenette with refrigerator and its own bathroom. Surf’s Up also has paddle boards, a charcoal grill, a modern kitchen, a spacious screened porch and stunning sunset views. There is a large screened in porch on the front overlooking the gulf, with a table for outdoor dining. There is also a downstairs open air deck for private sunbathing and a downstairs open air shower for rinsing off after coming back from the beach.. Beach chairs and an umbrella are included with this home. It has been newly remodeled with a new deck, railings, stair and a new dune walk to the beach. It is also pet friendly. 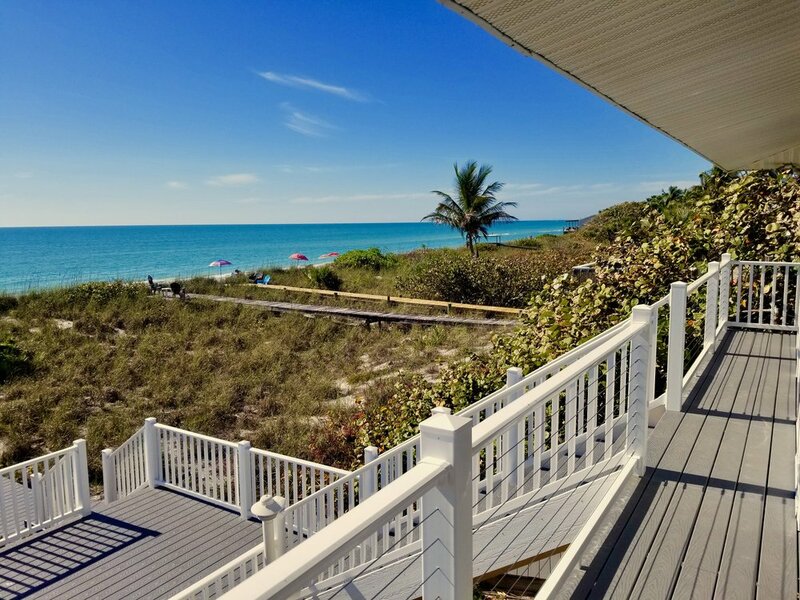 This is a perfect family vacation home just steps from the beautiful beaches of Little Gasparilla. WiFi - Complimentary via Verizon Jetpack. Speeds adequate for web-browsing, emails, social media, but not games or streaming. Please see our Island WiFi page for more details.